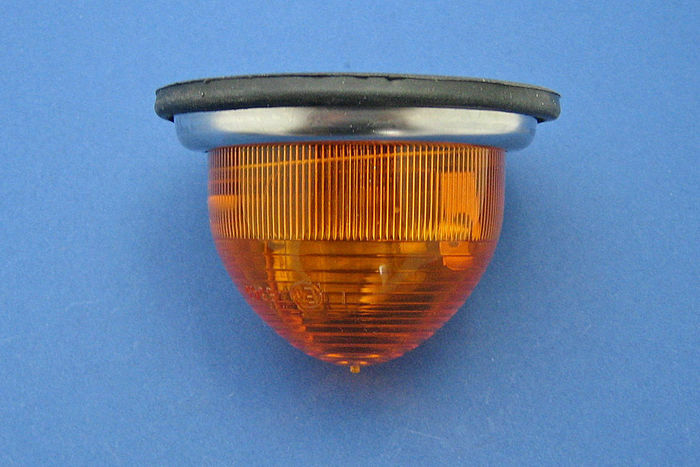 Flush-fit version (with a plastic) lens of Lucas L594 indicator. E-Marked. 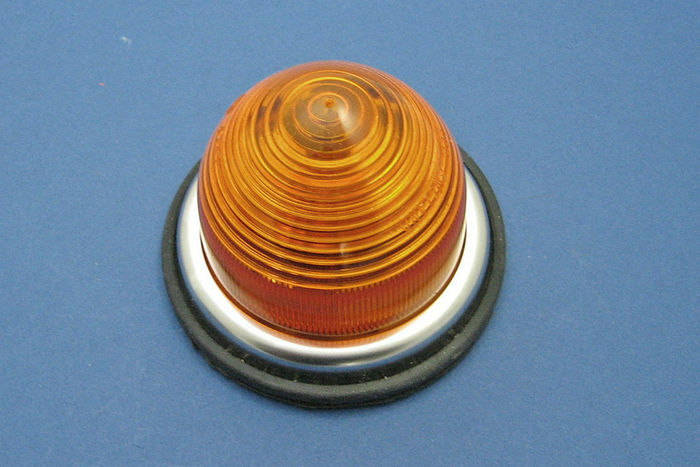 72mm diameter rubber base with 54mm diameter lens.